Kirsty is a recognised APA Sports Physiotherapist, a title which can only be obtained after completing a post graduate masters in sports Physio therapy (which she did in 2006). She is one of 4 Physios selected to work at The Australian Tennis Open each year, with the women's main draw. In 2017 she was awarded a long service award following her 10th year working for the event. She also provides physio coverage, treating the players, for the Queensland Academy of Tennis at Tennyson on a regular basis. For the 5 years prior to becoming involved Tennis, she provided physiotherapy for the Australian Short Track Speed Skating, traveling extensively to World Cups. In 2006 she was selected as a Physiotherapist for the Australian Team at the 2006 Winter Olympics. 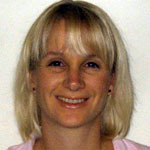 Kirsty qualified in 1998 as a Bachelor of Physiotherapy with Honours in the UK. Coming to Australia in 2000, she has worked with and treated a multitude of sporting disciplines including triathlon at the Goodwill Games and Brisbane Premiership rugby union. 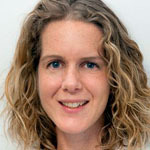 In addition, she has been involved in teaching within the University of Queensland post-grad Physiotherapy courses and running courses for Physiotherapists nationally, including on hip and shoulder rehabilitation. 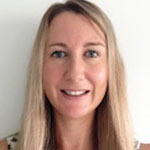 Megan has been qualified as a physiotherapist for over 20 years, graduating in 1996 from the University of Queensland with a Bachelor of Physiotherapy degree. Through her ongoing training, she has specialised in the areas of Women's Health, musculoskeletal therapy, exercise therapy (including hydrotherapy) and Pilates. She has worked in private practices both here in Australia and the UK, and has worked extensively with spinal and musculoskeletal conditions. This has included sports physiotherapy, working with national basketball teams, and local and state hockey teams. She also has a special interest in ante/post-natal care and womens' health. Megan has a special interest in Women's Health. She works with any conditions including those relating to incontinence, pelvic floor problems, pelvic pain and any pre or post natal issue. This includes ultrasound assisted muscle retraining. Gena is a kiwi born and trained physiotherapist who graduated in 2008 from the University of Otago in New Zealand. She currently also works with Tennis Australia with the Queensland National Academy, and is the treating physio at local Pro-tour events. She is highly sought after thanks to her skills, somehow also fitting in being the physio for the UQ Rugby 7's womens team, travelling extensively interstate. She has worked in private practice IN NZ, Canada and Brisbane where she gained experience in treating a wide variety of musculoskeletal conditions. She has a special interest in treating sports and running related injuries, tendon pathologies as well as spinal conditions. She utilises a variety of techniques including dry needling, exercise and clinical Pilates (which she has taught for over 5 years) to help her clients return to sports, work or day to day function. Gena particularly enjoys seeing a client get back to sports feeling stronger, motivated and ready to play after an injury. Gena completed her post graduate degree in Masters of Sports physio in 2017 at the University of Queensland. 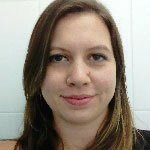 She continues her ambition is to become a high performance sports physio and to develop her skills as a clinician. Outside of work and study Gena is a keen sports women herself playing tennis, going to the gym, running and yoga. Gena likes to portray a healthy lifestyle and enjoys giving advice to her clients about a healthy diet and getting active. Megan is our other kiwi physiotherapist, graduating in 2013 from the University of Otago with a Bachelor of Physiotherapy (distinction). Her first years after graduation were spent as a physiotherapist for the New Zealand Army after which she has gained valuable private practice experience in both Melbourne and Brisbane. Outside private practice she has spent many a weekend on the sporting side-lines providing physiotherapy for both men’s and women’s AFL and beach volleyball teams. Megan’s greatest skill is using clinical Pilates as a rehabilitation tool in a wide range of conditions including the low back, knee and shoulder pain. She is passionate about helping clients feel comfortable and motivated to use the power of exercise following an injury and find long term solutions to pain. Her own experience in age group representative Netball teams and a year of personal high performance training makes her uniquely experienced in the considerations to training in younger athletes. Megan has just started her Graduate Certificate in Sports Physiotherapy and has completed education in dry needling and movement with mobilisation which she uses in conjunction with exercise. Emma is an experienced remedial massage therapist who graduated in 2013 with a focus on sports related and acute postural injuries. She has worked with some of the most elite athletes in the NRL, ARU, Queensland Netball, Australian Premier League Soccer and Cricket Australia. 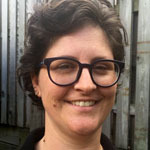 Emma was a lecturer in Remedial Massage at the Sage Institute of Massage in Melbourne and brings a wealth of experience to her understanding of the body and the way that stress and posture affects our daily lives. Emma is also very active with her education and is always seeking knowledge and techniques to bring to her treatments. Her keen interest and experience in sports related and postural injuries stem from her career and several injuries in the Australian Army. Her past experience as an Army Medic, Trainer and Massage teacher have given her a unique set of skills to draw upon. Outside of work, Emma enjoys living an outdoor lifestyle with her Husband and 2 children. Peter completed his Diploma of Remedial Massage at the Australasian College of Natural Therapies in early 2017. Peter has a keen eye for muscular and structural imbalances within the body and is driven by achieving results for his clients. Peter is committed to learning from cross-professional interaction and treating with massage based upon good clinical diagnosis. 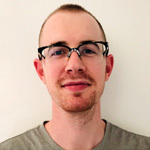 He has developed a special interest in dry needling and sports remedial massage, and is uniquely experienced within sports therapy, working with Cricket Australia, the Queensland Reds and the Brisbane Lions. In addition, Peter has experience treating Cross Fit athletes, weightlifters and powerlifters, and bodybuilders. Outside of work he has an interest in mixed martial arts, including Brazilian Jiu Jitsu.